Central ministries responded to a series of recent public concerns, including merging business certificates, promotion of generic drugs, health food inspections, agriculture and job fairs. Measures to merge different forms of certification required by businesses into one certificate have been successfully implemented since Oct 1. The move was one of the goals set by Premier Li Keqiang in his Government Work Report in March. The State Administration of Industry and Commerce said that by Oct 8, a total of 9.09 million new certificates had been issued. The administration said that major breakthroughs in the reform of facilitating business administration and lowering market access for investors had been achieved. The reform will cover businesses of all types and will benefit more than 60 million small-sized businesses. 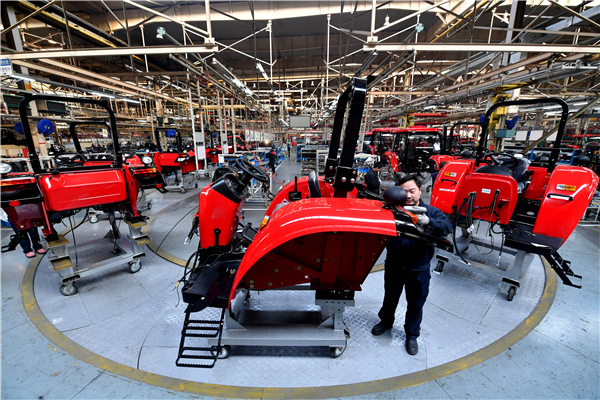 By the end of September, the number of enterprises registered in China had reached more than 29 million, an 18 percent increase compared with the same period last year. The State Council has issued a new guideline on reforming new drug approval procedures on Oct 8, addressing ways to boost medical innovation and medical equipment. Wu Zhen, vice-minister of China’s Food and Drug Administration, said at a news conference that the country will further encourage developing new medicines and promote the production of generic drugs, when elaborating on the new guideline. The government will periodically release a list of drug patents that are no longer valid to guide drug companies. New technological regulations will be also released to promote research and evaluation of generic drugs, to speed up evaluation of the quality and efficacy of the drugs, Wu said. At the same time, the protection of drug patents is in line with China’s push to build itself into an innovative country, while upgrading its pharmaceutical industry. The China Food and Drug Administration recently conducted a random inspection on 176 samples of health food. Two of the samples failed to meet standards. One was an aloe capsule produced by Guangzhou Wankang Health Food Co and sold by Shenzhen Yong’an Tang Pharmacy. The other was a calcium and vitamin D tablet produced by Guangzhou Saijian Biotechnology Company and sold by the No 16 retail store of Fujian Kanglida Pharmaceutical Company. Meteorological departments at all levels are taking various measures to guarantee good harvests this year. Weather reports, phone calls, text messages, radio programs, televisions and other media channels will be used to help agricultural producers know the latest weather conditions. The Ministry of Human Resources and Social Security plans to hold job fairs for college graduates in large and medium-sized cities across the nation from Oct 9 to Nov 25. The fairs will serve different groups. The job fairs will take advantage of online platforms to release job opportunities for all the provincial regions in attendance and establish recruitment stations in cities that have a large number of universities and a huge demand for graduates. All attending provincial-level regions will hold local job fairs, especially for college graduates, and carry out various activities to promote employment policies, job services and entrepreneurship.